Single level condominium located in a sunny neighborhood, close to Lake Whatcom, community swimming pools, tennis courts, & the 18-hole Championship Golf Course. This end unit has 3 bedrooms, 2 bathrooms & laundry inside the unit. Other features include: vaulted ceilings, high windows (loads of light! 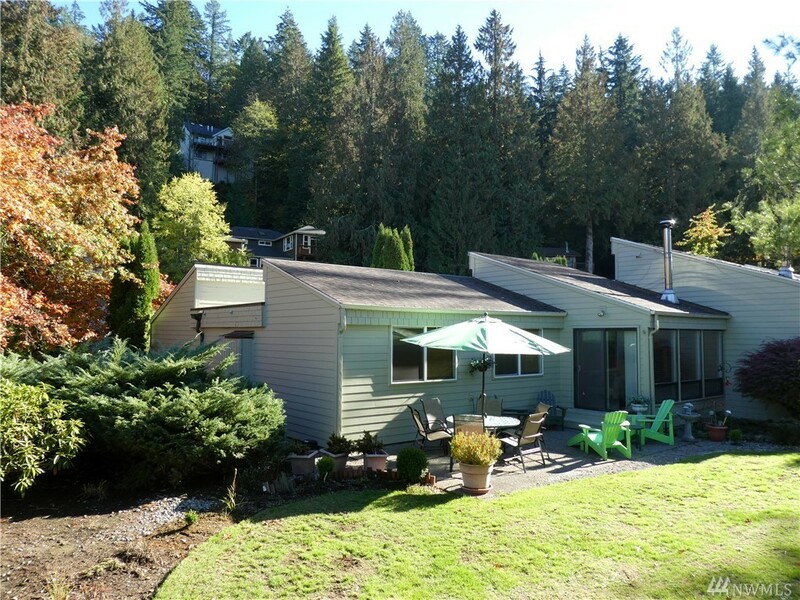 ), free standing wood stove, new carpet, front deck, rear patio & the unit backs onto the green common area with yard area & swimming pool. These units are wonderful rental units - for the investor.